This section includes the natural forest encircling the entire Sasol Dam, the wetlands biomes and the wildflower area. 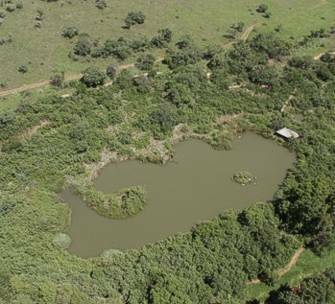 A bird hide is located close to the dam for discreet viewing of birds. Found here are the poisonous gifbol and the sugarbush (Protea repens) which occur along the Wild Flower Walk. Various beautifully scenic walks, such as the Geological Trail, the Boardwalk and the Ouhout and Woodpecker Walks are located in this section.